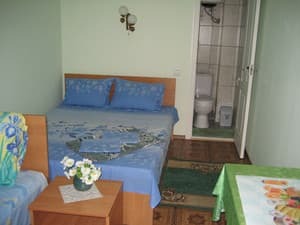 Private pension "Storm Plus" is located in a quiet area of ​​the city of Skadovsk, 50 meters from the Black Sea coast. 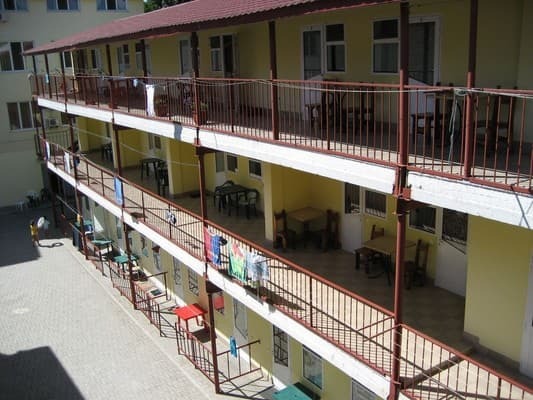 Hotel "Storm Plus" is a three-story building, the number of rooms is represented by comfortable 3 and 4-bed rooms with all amenities. All rooms have comfortable furniture, air conditioning, TVs, refrigerators and a private bathroom. Hot and cold water is supplied around the clock. Free Wi-Fi is available throughout the resort. At the service of guests is a summer kitchen, where you can cook meals, BBQ and BBQ yourself. In the courtyard of the boarding house "Storm Plus" for guests who arrived by car, there is a car park near the hotel (paid guarded). Within a radius of 100 meters from the hotel is a modern entertainment complex "Miami" with children's and adults' pools, fresh and sea water. The distance from the railway station of Kherson is 85 km. PRICES MAY CHANGE, IT IS REQUIRED TO UPDATE INFORMATION FROM THE OPERATOR! 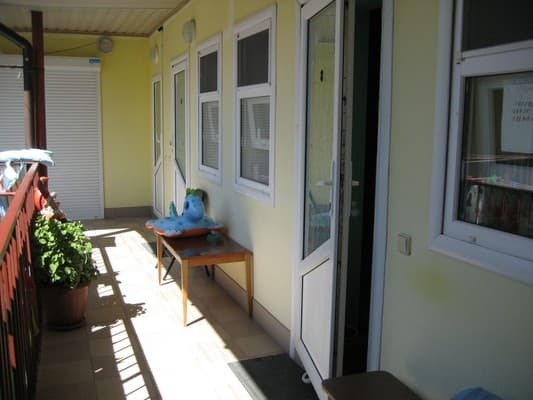 Description of the room: The room is equipped with a comfortable double and single bed. 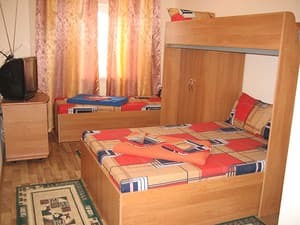 Description of the room: The room is made in light colors and is equipped with a double and bunk bed. The cost of extra bed is negotiated at the time of booking. 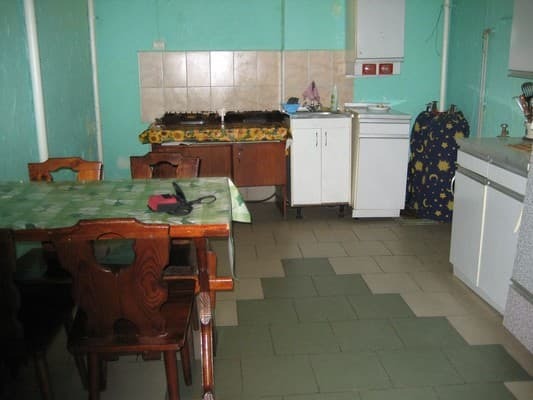 On the territory of the hotel there is a summer kitchen for self-cooking (paid from 25 UAH). On the territory there is a cafe. In walking distance from the boarding house there are many cafes, bars and restaurants. 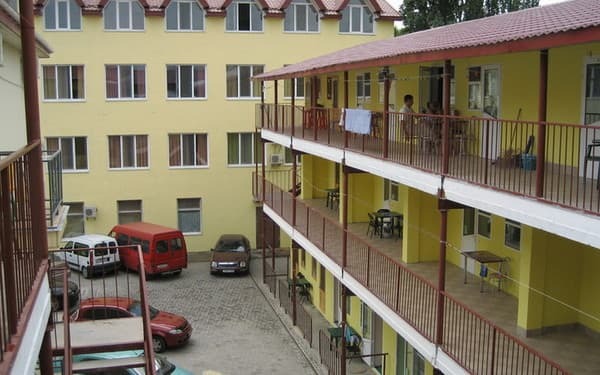 Private pension "Storm Plus" is located in a quiet area of ​​the city of Skadovsk, 50 meters from the Black Sea coast. The distance from the railway station of Kherson is 85 km. From the railway station of Kherson you can take a shuttle to Skadovsk. Then order a transfer or a taxi.